Zest the fruit and set aside a heaping tbs of mixed zest, juice the fruit mix together and set aside 1/2 cup. In mixing bowl add the egg yolks, sugar and a pinch of salt. Beat with hand held mixer until creamy and light. Whisk in the juice and zest and pour into sauce pan. Cook at medium low heat stirring constantly until the sugar has melted and it’s hot to the touch. Now add the butter on piece at a time stirring constantly until the butter is melted. Place thermometer in and continue cooking until it reaches a temperature of 175. Remove from heat. Pour through a sieve into a bowl, add the 1 tsp orange zest stir to combine and cover with plastic that sits directly on top of the curd, allow to come to room temperature then refrigerate overnight. 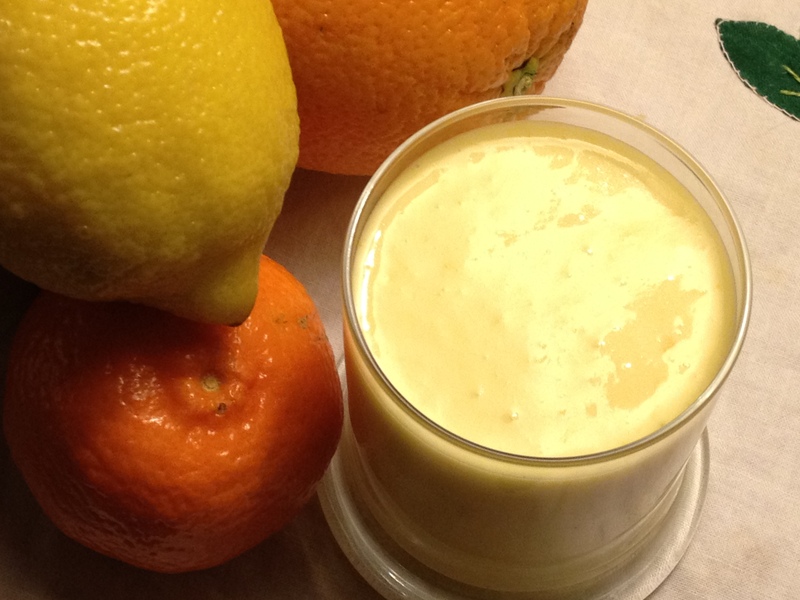 How long will the citrus curd keep? I Kept it a week in my refrigerator and it was perfectly fine, not sure beyond that. I really love the citrus action happening in this recipe! Thanks Pamela I am a big fan of citrus! Thank you, it is so good, mixing the citrus is amazing! I would gladly send you a jar!! Thank you so much I love it too!